I have had the absolute pleasure of taking pictures of dog, cats and recently, chickens. Well, I can now add an adorable DONKEY to this list. How incredibly lucky am I? Y'all, meet Chippy. Her full name is Mocha Chocolate Chip Frappucino, but they call her Chippy. Squee. She is so adorable and loving. When the family photo shoot was over, she even posed for some selfies with me. 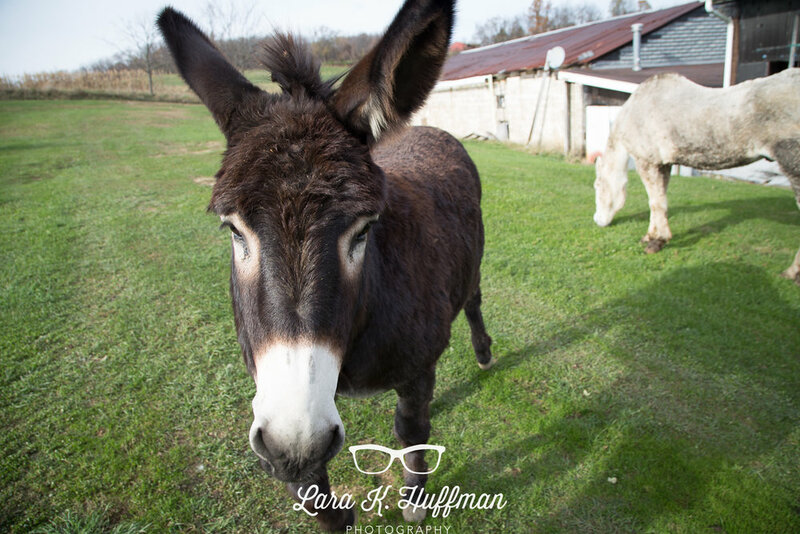 While I am still a crazy dog lady, I'm pretty sweet on donkeys now. They are cute!